Welcome to the Epsilon Phi Chapter of Sigma Tau Gamma at the University of Alabama. 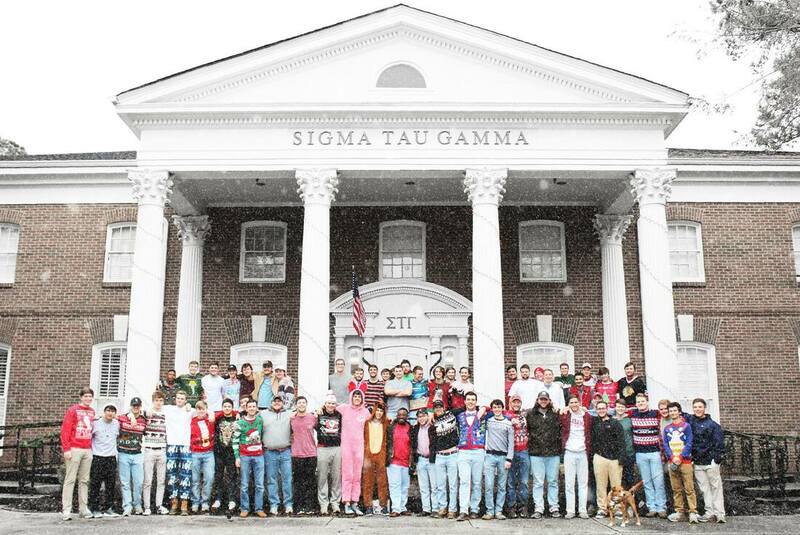 Sigma Tau Gamma was founded June 28, 1920, at the University of Central Missouri. The fraternity was founded as a result of friendships made while some of the founders fought in World War I in France. ﻿I believe that the true spirit of fraternalism is a personal devotion to one's ideals. It has its roots in definite, tangible things. It springs out of a love of God and worth of one's fellow man. It grows into qualities of mind and soul. It is not the attitude toward a few selected ends, but rather the abiding spirit in which all things are done, all difficulties met, all successes received, all obstacles overcome.